Hanon is the Mermaid Princess of the South Atlantic Ocean, and the keeper of the Aqua Pearl. 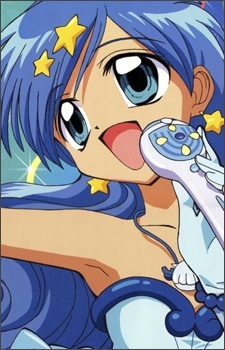 She is the second mermaid to appear in the first season and becomes best friends with Lucia. Hanon is part of the main trio with Lucia and Rina throughout the whole series, and is there during the battles versus Gaito and Michel. In the first season, Hanon had a crush on the music teacher, Mitsuki Tarou (Tarou-chan was her pet name for him), until she found out that Mitsuki had a relationship with Sara. In Pure, Mitsuki left for Germany, and Hanon ended up falling in love with a classmate, Shiroi Nagisa. Hanon and Nagisa are now a couple. Hanon has three different forms: Mermaid Hanon, Houshou Hanon (Human Form), and her singer form, Aqua Pearl Voice. She has two image songs, Ever Blue and Mizuiro no Senritsu.